← Scorpions – China White. 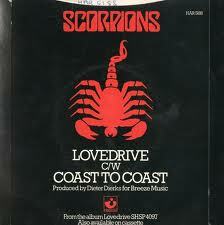 Scorpions – Coast to Coast. Publicat pe 16 iunie 2014	de Cristi M.
Paweł Mąciwoda is a Polish bass guitarist who joined the Scorpions in 2003, and became an official member on January 10, 2004.Born in Wieliczka, Poland, Mąciwoda began playing bass guitar semi-professionally at the age of 15 with his father’s encouragement. His young age on the rock and roll circuit earned him the nickname „Baby”, but within a few years Mąciwoda was touring Europe with a jazz fusion band called the Little Egoists, and for overlapping periods of time performed as a member of the avant-garde rock bands Düpą and Püdelsi, both based in Kraków. At about the same time he also released a solo album entitled Radio Wieliczka. His other band credits during his early years included the popular jazz-rock band Walk Away, headed by the world-famous violinist Michał Urbaniak and lead vocalist Urszula Dudziak, with whom he recorded the album Magic Lady.